The average American diet lacks the recommended daily intake of magnesium. Prevent or treat magnesium deficiency symptoms by adding magnesium supplements. Are you feeling depressed? Do you have unexplained migraines that come and go? Insomnia that keeps you restless in bed? Bone decay, heart issues, or diabetes? If you answer yes, these may be magnesium deficiency symptoms. Magnesium has been proven to be helpful in treating symptoms of all of the above conditions and more. From a chemical perspective, magnesium has atomic number 12 and lies in the second column of the period table (alkaline earth metals). 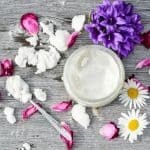 From a supplemental perspective, magnesium is necessary to stay alive, and is used to promote proper heart rhythm, normal blood pressure, and strong bones. Magnesium is also used intravenously to open up airways in asthma patients who are exhibiting extreme asthma attacks. 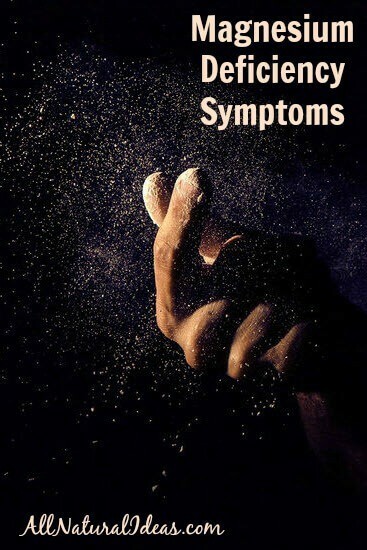 What causes an imbalance resulting in magnesium deficiency symptoms? There are a multitude of factors that can lead to an imbalance in magnesium levels, below is a compressed list of the most common causes. Under normal circumstances, eating foods high in magnesium would bring magnesium levels back to normal. Foods rich in magnesium include: whole grains, beans, nuts, and leafy vegetables. However, due to the over-refining of produce, the levels of magnesium have dropped on average of 20% over the last half century, with the exception of collard greens which dropped by as much as 84%. Considering the lack of nutrients in modern food products, it’s not surprise that the average American diet contains only 50% of the recommended magnesium intake. To prevent magnesium deficiency symptoms, individuals are strongly recommended to take magnesium supplements. Adding magnesium to your diet will ensure that essential bodily functions continue as they are intended to behave. Adults should have a daily intake of approximately 320 mg per day for women and 420 mg per day for men. Woman in early adolescence are recommended to take as much as 360 mg per day to ensure homeostasis continues during a time of hormonal chaos. Magnesium is essential to women in particular because it helps regulate PMS (premenstrual syndrome) as well as keeping osteoporosis at bay. If you exhibit any symptoms pertaining to osteoporosis, insomnia, constipation, heart attacks, hypertension, migraines, kidney stones, or gallstones you may be showing signs of exhibiting low levels of magnesium. If this is the case, check your normal, every day diet to see if it suggests a low magnesium diet. 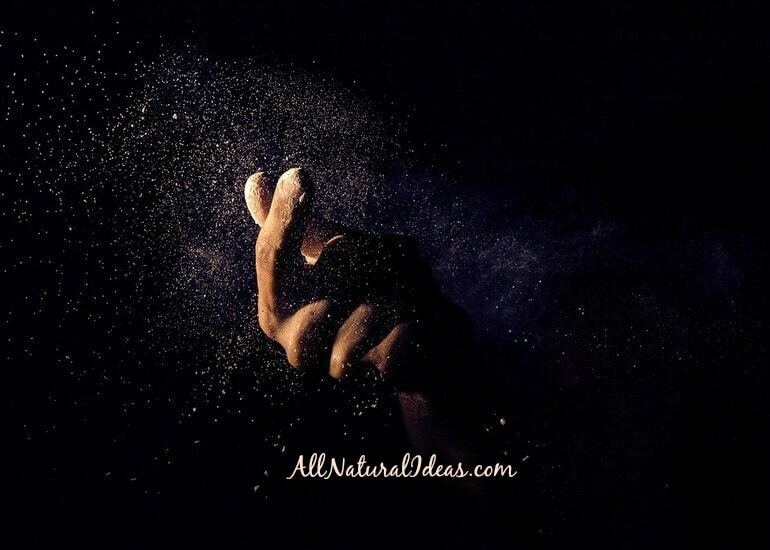 If you are living with a low magnesium diet like so many Americans, pick up a bottle of magnesium supplements or magnesium lotion and keep normal body regulation going strong! Disclaimer: Although not a medical professional, the facts presented in this post come from credible online sources. I use to be a vegan and now that I am eating meat again, I am concerned if I’m getting enough of the right vitamins. Maybe my migraine are due to lack of magnesium. Only one way to find out. Worth giving magnesium supplements a try. I started using a magnesium spray in my legs when I was pregnant because I kept getting spasms. It’s great stuff! That’s a really informative post. I think I need to introduce magnesium to my diet. Interesting post. Magnesium is important. Never thought about taking magnesium. This is good to know. Many have a deficiency, but don’t know it. It has helped us with migraine and sleep issues. I had no idea. Thank you so much for the education. I don’t have the symptoms but this is important information. Always good to get the word out in case these symptoms ever appear. I barely take vitamins, but I try to eat healthy. Not to much meat and more greens. I should consider taking these. You never know when the heart want to be have it’s own way. Thanks for the tip. Sounds like you are doing great with your eating, but with modern farming, the nutrients aren’t as much as they used to be. Great information to know. I wasn’t aware of some of the ways you mentioned it helps people. I might add some of the supplements to my list. I’ve found it especially useful for sleep issues. It seems to be a mineral many are deficient in. Couple of small questions: magnesium citrate or magnesium oxide supplements? Is one more well well absorbed than the other? 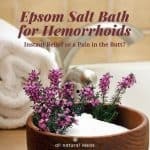 if you’re taking an oral supplement should you also use an external spray or soak in Epsom salts in the bathtub? can you have too much magnesium? Does it interfere with other drugs like blood pressure, statins, diabetes medicine? 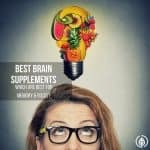 Yes, I can ask my doctor or pharmacist all these things, and I could probably even Google them but it’s important to ask the questions because you don’t want people just running out and start downing supplements without all of the information that they need….hard to address every aspect in a blog post, but its a great starting point if people go beyond what is provided. Do not take magnesium oxide. 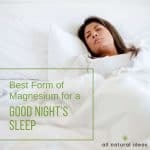 You can find the best types of magnesium to take here. That article states that magnesium citrate is popular because it’s inexpensive and is easily absorbed. So, it’s a good choice. Taking too much of any supplement can cause imbalances. But, magnesium is pretty safe when taken in the recommended dosage. If you do take too much, it may upset the balance with calcium and possibly lead to a calcium deficiency. 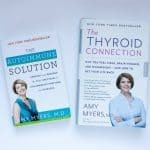 I’m not sure about the interaction with medications, but you should be able to find that answer here. 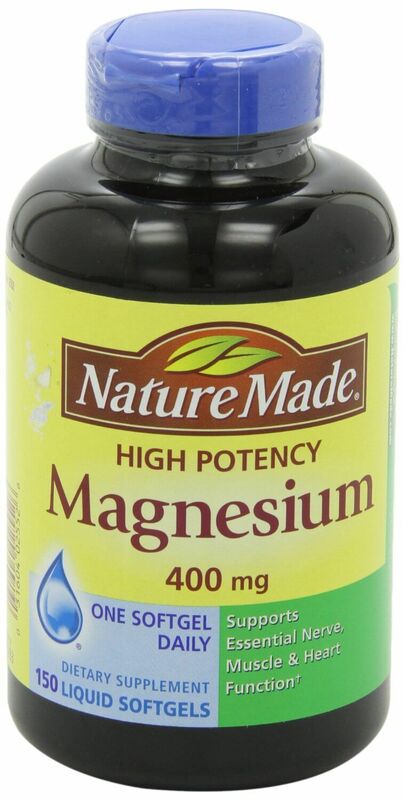 I have taken magnesium for years for migraine prevention. I also have several of the other conditions that don’t appear to be related to magnesium deficiency, but I guess I’ll never know. It really is tough to know for sure without doing testing. Also cramps in the calf muscles, especially at night. Used to have that before taking a magnesium supplement. Yes! That is another symptom. This is going to sound weird but … here goes… I suffer from foot cramps, many of them. Sometimes just flexing my foot in order to slip into a shoe will trigger a cramp. They happen at night, multiple cramps with nothing to brace my leg/foot on to try to break the cramp unless i get out of bed and stand. I read someplace that a bar of soap would stop the cramps. SOOOO, I put 4 or 5 bars of soap in my bed between the sheet and mattress cover down by my feet and in a month, I’ve only had 3 cramps. I know it sounds like voodoo but truly, this has diminished my cramps by 99%. Many people have suggested magnesium for foot cramps…can the soap fix be explained? From what I’ve read, there’s magnesium in the soap. I would think it’d be more effective to rub magnesium directly onto the skin. Still using the soaps but I have added Magnesium, 250 mg. Of course, didn’t realize that I purchased the wrong one, according to this blog. The label on the BACK, says 250mg (as Magnesium Oxide). Since it wasn’t on the front label and standing in the supplement and vitamin aisle is sometimes overwhelming, I goofed. If it okay to continue taking these? AND guess what: I have 2 large bottles of 300 pills. Taking these 1 at a time figures out to almost 2 whole years! It is overwhelming to shop for supplements. Lately, I have been buying direct from my holistic health coach so I get it right. Leg cramps at night can be a sign too. Speaking from experience here. Yes! I’ve have that symptom. Magnesium does get rid of it. Magnesium citrate powder works quicker and helps insomnia.